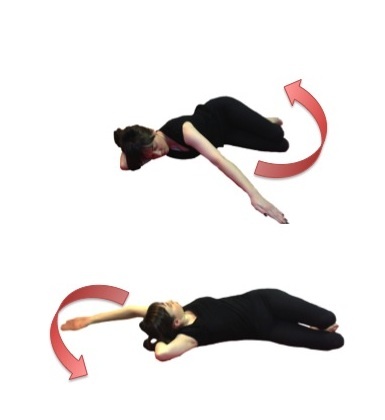 This exercise allows the shoulder to find congruency in a sidelying position. 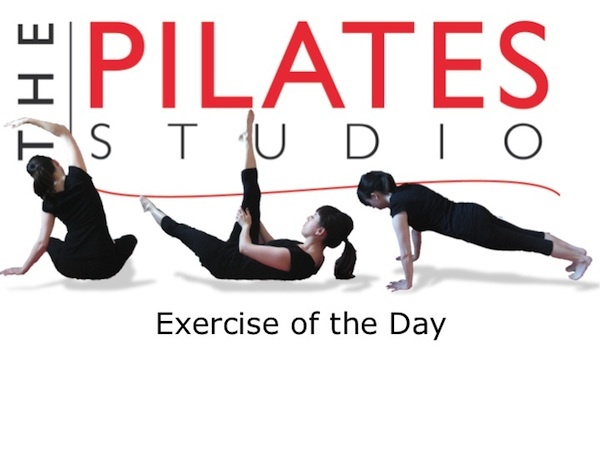 To do this exercise you will need a mat. Start by lying on your side with your knees bent. 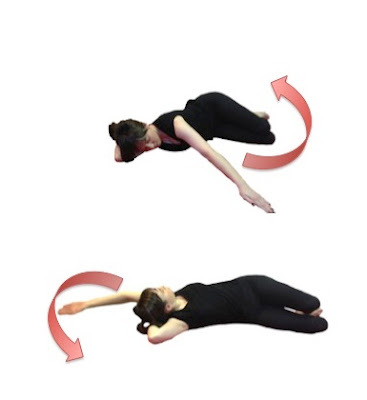 Reach your fingertips towards the ceiling so that your arm is directly above your shoulder. Start making small circle with the arm, and then gradually begin to increase the size of the circle until you are at your full range of motion. Notice which direction your arm is moving and then start small again in the reverse direction. Awareness of the fingertips is very important to shoulder stability and efficient movement. As the arm moves behind you try to lead with the thumb, and then use the pinky to lead the rotation of the arm towards the front. Imagine reaching through the middle finger, and at the same time plugging the arm bone into the socket. Shoulder stability does not mean stillness. Be sure that the shoulder blade and collarbone are following the arm to provide it with support.